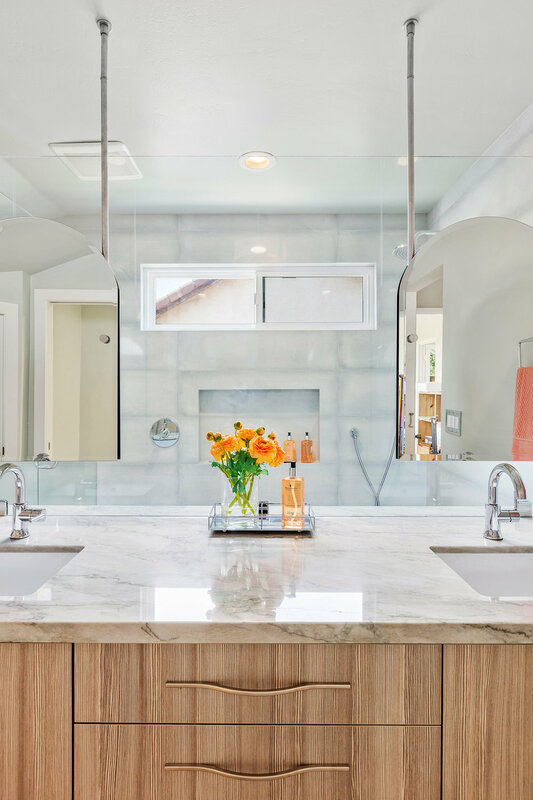 This Carlsbad couple yearned for a generous master bath that had a big soaking tub, double vanity, water closet, large walk-in shower, and walk in closet. Unfortunately, their current master bathroom was only 6'x12'. Our design team went to work and came up with a solution to push the back wall into an unused 2nd floor vaulted space in the garage, and further expand the new master bath footprint into two existing closet areas. 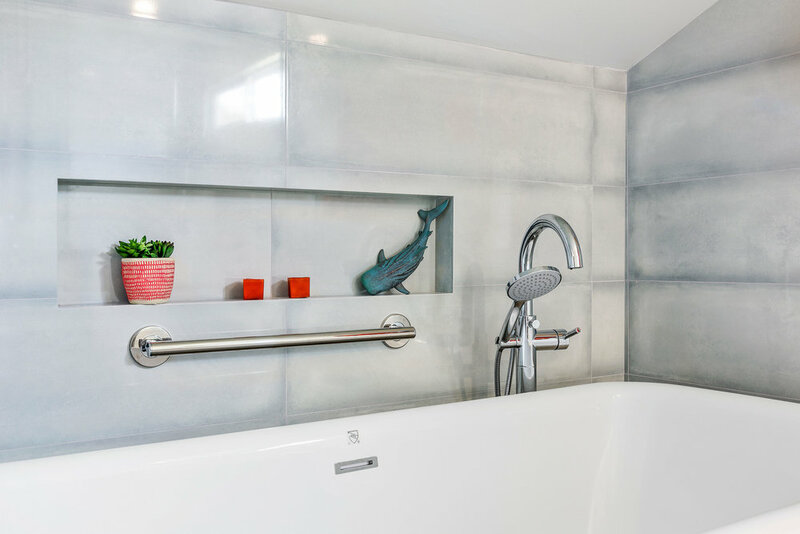 These inventive expansions made it possible for their luxurious master bath dreams to come true. Just goes to show that, with TaylorPro Design & Remodeling on your team, fitting a square peg in a round hole is possible!